Are you looking for something truly BEAUTIFUL and UNIQUE – a true WORK OF ART. The ultimate ONE OF A KIND? 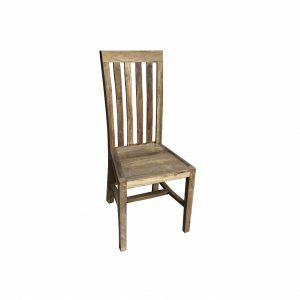 Built and finished to the HIGHEST QUALITY and offered exclusively by Ombak Furniture. Tables are soon to be finished! Current photos are showing where we are up to in the build process. 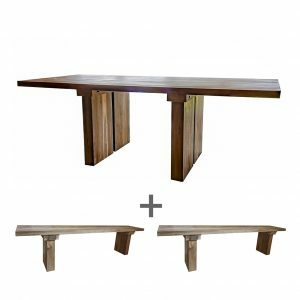 Ombak are proud to be offering 2 unique tables, the ultimate fusion of a number of design features. 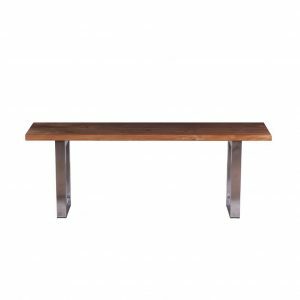 For these tables, Ombak have partnered with possibly the best resin specialist in central Java, Indonesia. His work is unrivalled. 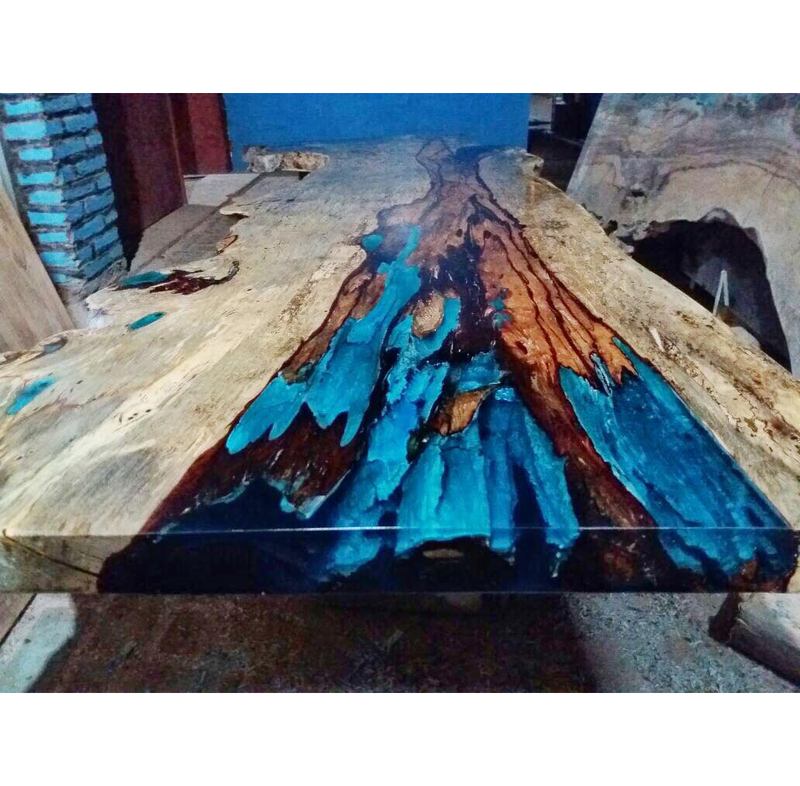 During a recent trip to central Java to see our workshop, the owner of Ombak personally sourced 2 of the most beautiful live-edge hardwood slabs. These were literally a case of driving past a small timber workshop in rural country, seeing these and purchasing them regardless of cost. 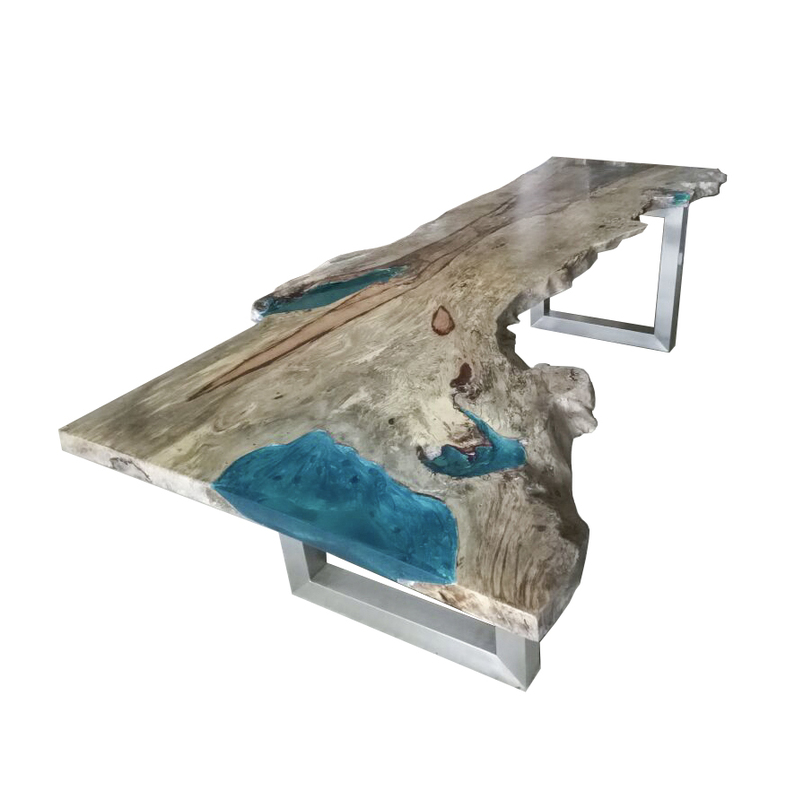 The slabs are cleaned and treated by the resin specialist then the resin is used in the wood features. This is a complex process and we are proud to have partnered with a true artist. 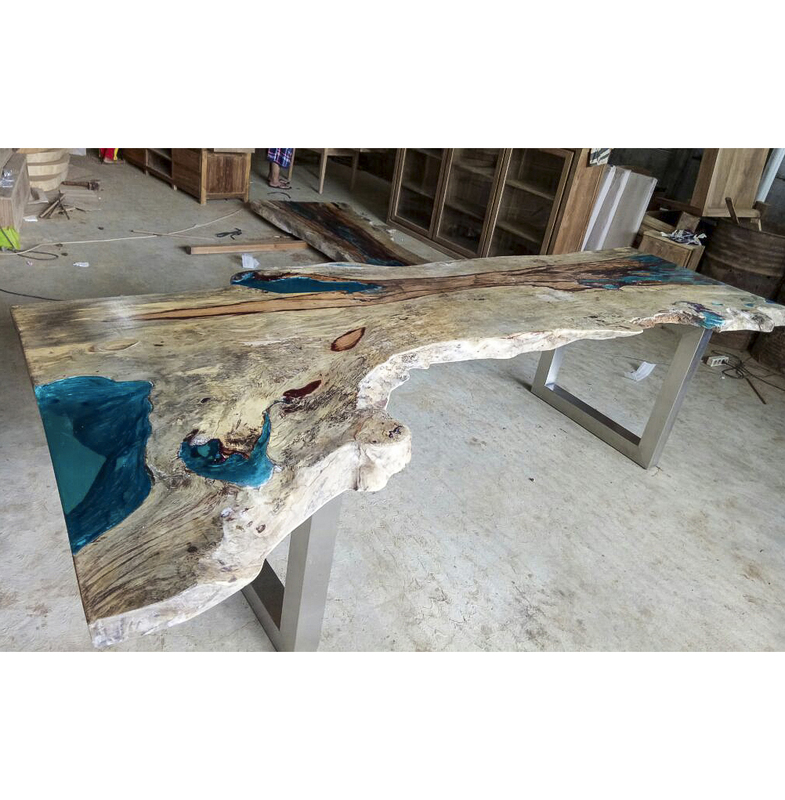 The live edge has been left on both tables. 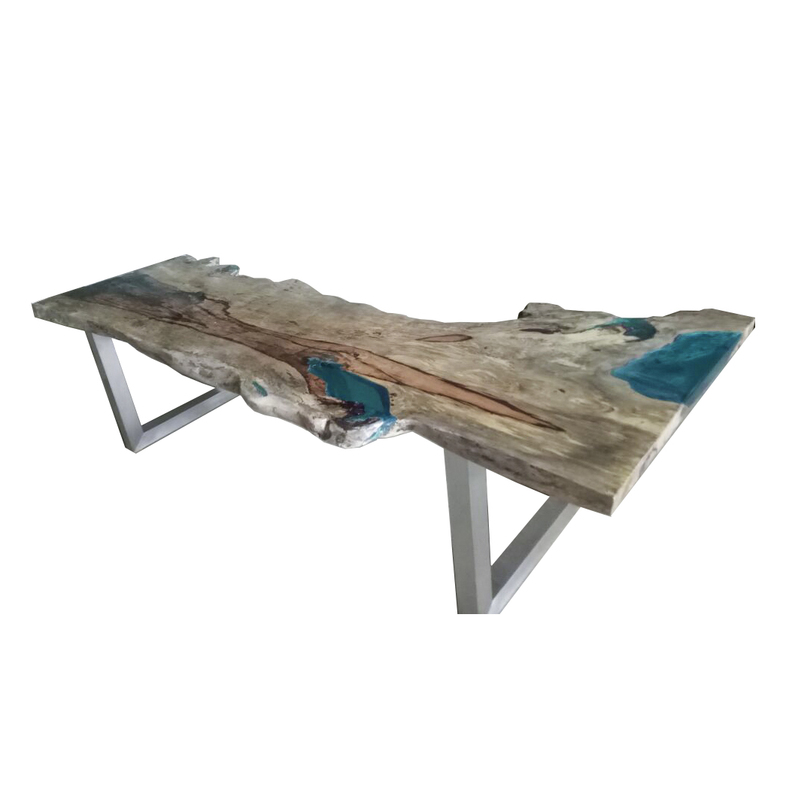 There are river-resin tables on the market, and there are live edge – we do not believe that any will come close to combining both features in the way these tables do. Size is circa 280cm long, the width is circa 110cm widest, 75cm at the narrowest. 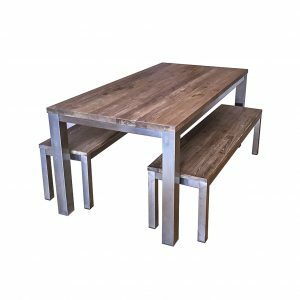 The tables have been finished off with a set of chunky stainless steel legs, same as have graced many of our Waja tables (see our other listings). 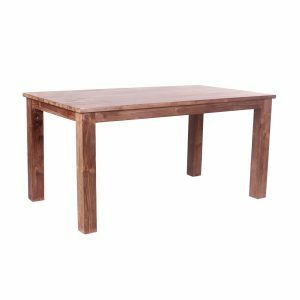 Please ask any questions you wish about the tables. We are looking at delivery late February. Ombak are happy to structure the payments for a purchase, please contact for details.